Learn how to improve the way you load test your database and how to effectively control the number of open connections when testing your database. When testing how well your database queries are optimized, opening up too many connections to the database might create overhead and cause performance degradation. 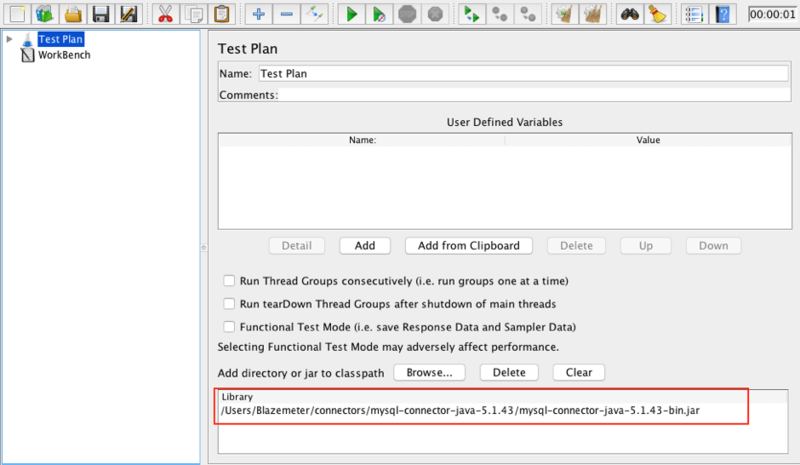 To be able to isolate database query testing, Apache JMeter™ provides flexibility, allowing you to choose if you want to run many queries using one connection or to establish many connections but to run queries less extensively. In this blog post, we will show you how to run MySQL database queries both with one connection and with multiple connections. This is done through JMeter's JDBC elements and Thread Groups. As soon as you get the idea of how it works, you will be able to apply a more accurate load to your database, simulate all possible test scenarios, and make your database application layer rock solid! 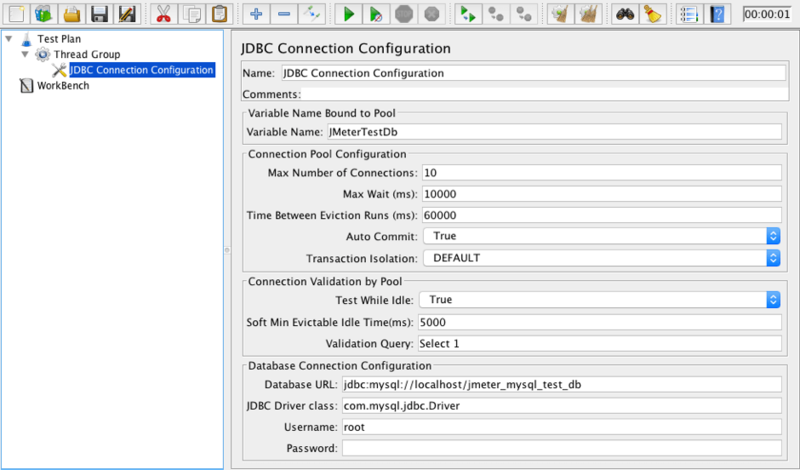 Right-click on Thread Group > Add > Config Element > JDBC Connection Configuration. Our basic test script is ready and we can verify results using the View Results in Table listener (right-click on Thread Group > Add > Listener > View Results in Table). As you can see, when the sampler is running, the Connect Time (far right column) is positive (always non-zero) only for the first value. In the other cases, it is 0 for all the other samples. The reason for this is simple. JMeter uses only one connection per user and does not open it during each request. Connection opening is a very expensive operation and in addition to that, there are limits on how many connections you can open a database. This is why web applications usually care about the number of open connections. In the case of many different queries, a connection is established only once and all further requests just request the same connection that is already opened. JMeter works in the same way. We have only one user that performs twenty JDBC requests one by one, and only the first sampler actually performs database connections that are reflected in the Connection Time value, which is more than zero. After that, the same connection is reused for all other requests. That's more proof that JMeter opens only one connection per user — independently of how many queries to a database are performed. 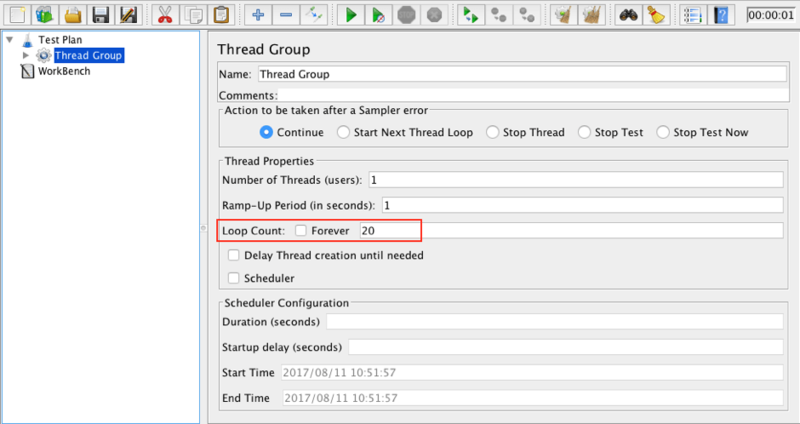 In the case of 20 users, the database will manage 20 connected threads and in the View Results in Table listener, you will see 20 lines that should have non-zero positive value in Connect Time, which represents first database requests for each of the users. That's it! You can now apply what you learned here to your database load testing and control the number of open connections when testing your database. Published at DZone with permission of Anastasia Golovkova , DZone MVB. See the original article here.